Dust isn’t just bothersome to people; it can also damage equipment including phones and computers. Dust is one of those hazards that come with the construction work territory. When you excavate and loosen soil, winds are bound to pick it up and transport it elsewhere. Usually, “elsewhere” is anywhere that’s not convenient. So dust control measures should be a high priority. Maybe one of the best “set it and forget it” types of dust and erosion control devices on a construction site is introducing mulch and vegetation. Aside from watering until it’s established, there’s not much more that need to be done. Mulch alone works. But with the addition of vegetation, it can work better. Mulch covers and protects exposed, loose soil, so even when winds kick up the soil stays put. Toss on grass seed, and the protection improves. The root system of grasses works its way into the soil to help keep it intact, plus the grass covers and guards the soil from wind once it starts to grow. Tackifiers are often used in seeding to help create a bond. Instead of seeds blowing away, the tackifier helps them stay put. If you’ve seen road construction sites where bright green material, which almost looks like spray paint, is applied to the loose soil, you’ve seen a tackifier in action. You can use a tackifier, such as guar gum, on its own to cut down on dust, or in conjunction with a seeding project for more dust control. When used with seed, the mixture is usually contains a mulch additive. Water is a natural enemy of dust particles. Dry, loose dirt picks up in the wind and gets tossed around by heavy equipment. So water is probably one of the most common ways to help dirt stay put. Sprayer trucks make light work of keeping dust down on construction sites. One caution about water is using too much. Damp soil won’t be as prone to flying around as dry, but you need to reapply it regularly. But too much water creates another problem, which is runoff and erosion. A good balance is important. 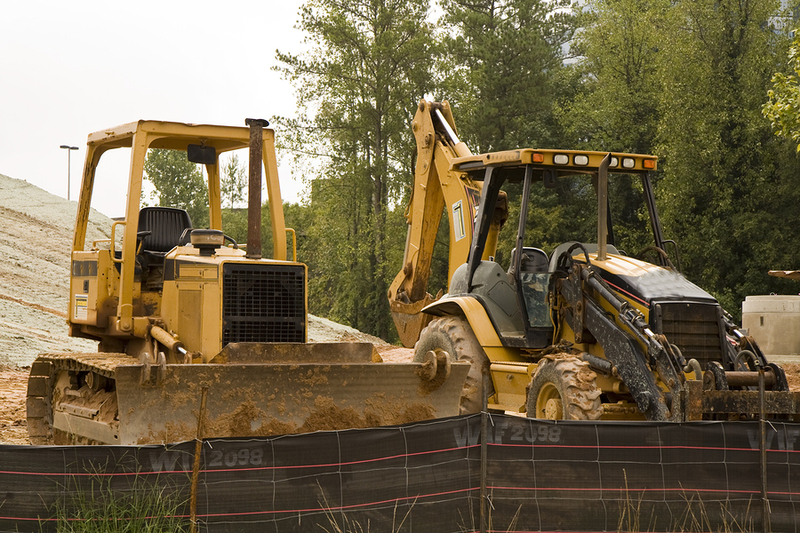 Installed and maintained properly, barriers make excellent dust and wind current control. Silt fences and other barriers, such as wattles, don’t prevent dust, but they help keep contain it. Most states have their own regulations for construction site barriers, but the Wisconsin Department of Natural Resources explains that they should be installed at right angles to prevailing winds. Gaps in barriers defeat the purpose, because the allow winds to blow through. So it’s important to install them the right way the first time. Possible barrier materials include solid board fencing, burlap, crate walls, hay bales, and other similar materials that help control the air currents and contain loose soil. Polymers provide excellent dust control, but they’re only useful in areas where vehicles don’t travel. An example would be excavated areas with loose topsoil, such as hillsides where trucks and other vehicles don’t drive. They work well as part of a bigger overall dust control plan. Polymers, such as polyvinyl acrylic, are a 2-part process. They’re applied to the soil in a dry state. And then water sprayed over the polymers activates them to create a seal over the soil. The use of polymers might be regulated by your state. 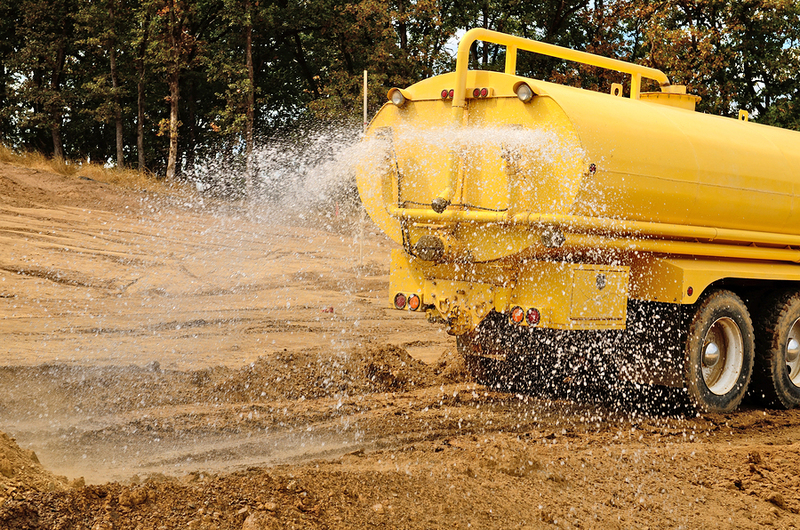 Dust control isn’t just important for the sake of convenience. It’s also a health issue. Blown dust particles make working a lot more difficult than it has to be. But depending on what particulate matter is in the dust, OSHA says workers could react with something as unpleasant as an allergic reaction or a much more serious lung condition. 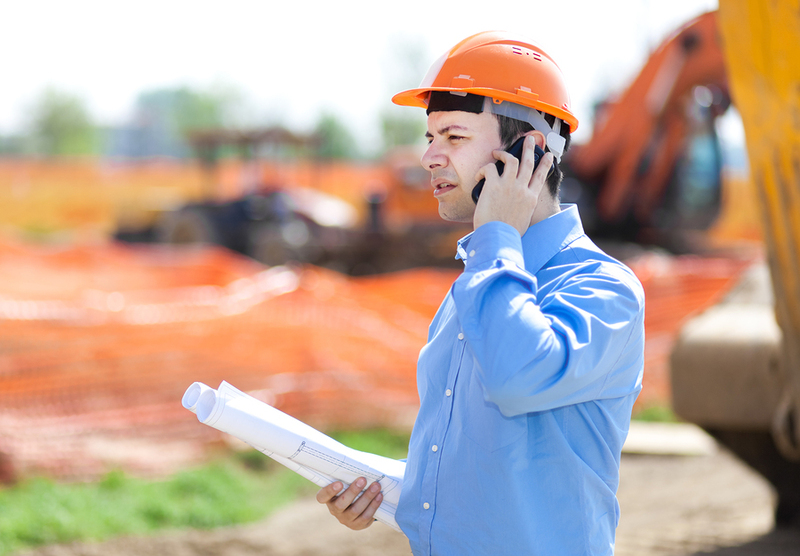 As the construction industry grows, so do measures to make it better. One of those measures is continuing education. Not only can construction courses help keep you on top of your game, they can also help you keep your licensing requirements fulfilled. Check out our courses at PDH Contractors when your next credit hours are due.